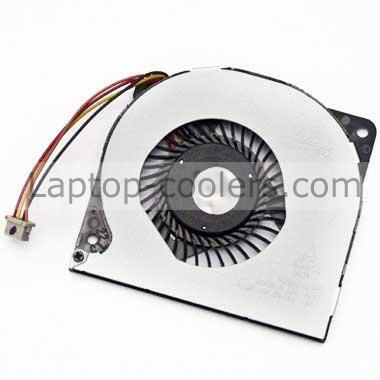 This 4 pins cooling fan is rated at DC 5V, 0.5A and can be used as a replacement for your original faulty or damaged DELTA KDB05105HB-B208 CPU fan. Please compare your original fan with the listed images before purchase. 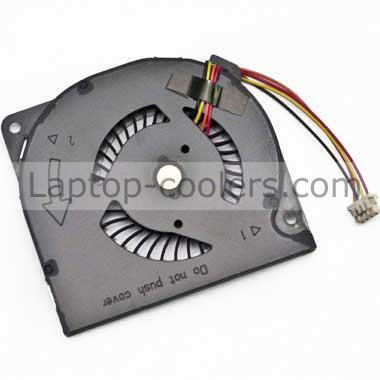 The same type of laptop fan may have a few manufacturers, if you need the CPU fan as your original DELTA KDB05105HB-B208 fan, please designate the maufacturer when you place the order online. We want you to experience a safe, secure and completely satisfied shopping experience. Laptop-coolers.com shipments are made from our warehouse located in China. We ship to most countries and the shipping is also free unless you request express shipping. The parcel's estimated time below is not guaranteed. It is used as an approximate and reference. Free shipping orders will be shipped out via International Registered Air Mail by post office. The estimated delivery to USA is 6 to 12 business days, and 10 to 15 business days to other most countries. Customers can also choose the express shipping when place the order online. If the order requests express shipping, the package will be shipped out via DHL express. The estimated delivery to most countries is 3 to 5 business days. All orders are subject to a 1-2 business day processing prior to shipping, 80% will be done within 24 hours. We do not process or deliver orders on weekends(Saturdays, Sundays) or holidays. It is very easy for you to check the status of your order and locate the package during transit, as an email with a tracking number will be sent to your email address after your order has been shipped out. Additionally, you can also get the tracking number here, just enter your order number and email. You can find the order number and email in the confirmation email after you complete the payment. Please make sure the shipping address is correct and deliverable. If you want to change the shipping address, please email us in time. We cannot be held responsible for the erroneous shipping address given by the customer, leading to non-receipt of products at the client end. Hence, you are advised to ascertain if they have given their address without any mistake. We will not be held accountable for any kind of loss suffered by the customer and a under any circumstances claim for refund will be entertained. © 2019 Laptop-coolers.com. All rights reserved.